Time for a quick round-up post! The new season of Mystery Science 3000 is amazing. It might be the best revival I’ve seen yet: it nails the tricky balance between rekindling the feel of the original while allowing it to breathe and grow. It feels very much like a continuation of the Joel years, which is great: more invention exchanges and songs, but also the warm-hearted goofiness that made me fall in love with the show many years ago. I enjoyed each episode, but my favorites are probably Avalanche, Starcrash, and the two Wizards of the Lost World. Special shout-out to Carnival Magic, one of the all-time worst movies they’ve ever riffed. I do have a short list of wishes if they get another season: bringing back shorts and giving Gypsy more to do inside the theater. As a whole, though, I think the cast and creators are doing great, and I really hope we can see them continue. Speaking of television, I’m also really enjoying the second season of Love. I’m about halfway through it, but so far it’s showing a really impressive ability to continue evolving the main relationship between Gus and Mickey. It avoids hitting the reset switch that most TV shows rely on, and continues to find new ground to bring its characters through. It’s eerily good at avoiding tropes: you’ll spend a whole episode wondering when things will blow up, just to pleasantly realize at the end that, nope, they actually just had a really nice day together, and somehow that feels radical. 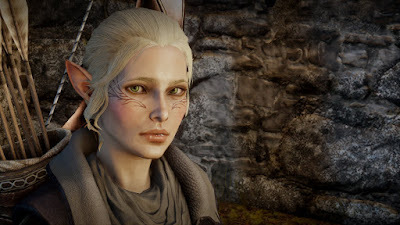 On the gaming front, my run through Andromeda somehow inspired me to return to Dragon Age Inquisition. I’m finally doing my long-plotted final “perfect” run. 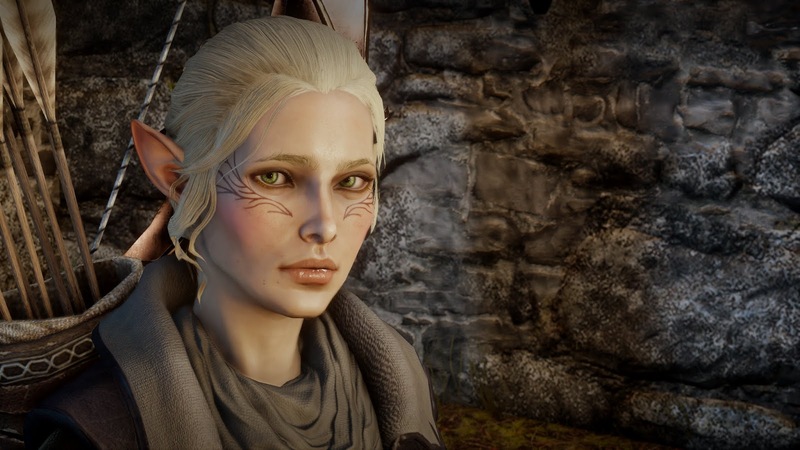 My character is Ava Lavellan, a Dalish archer. In contrast to Aztar Cadash, who saw herself as the Maker’s anointed on a mission to unify Thedas under her rule, and Visaas Adaar, who wanted nothing to do with the craziness around him, Ava is a relaxed and friendly woman, willing to help out but mostly invested in the relationships she’s making. (Ava came here to make friends, Aztar came to win.) It’s been a good game so far, but I think that I’ll probably keep Aztar’s story as my canon whenever Dragon Age 4 rolls around. Aztar made more mistakes, but that makes for a more compelling story. 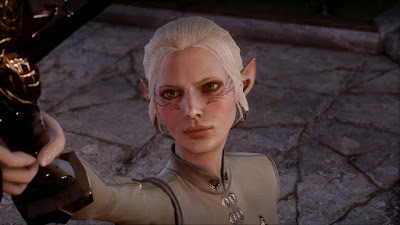 As far as the actual gameplay, though, Ava has been great. I’m totally ignoring all the occularum and shards, and leaving all requisitions unfilled, which eliminates a huge amount of the annoying busy-work from the game. I’m taking this opportunity to complete the remaining achievements from the game, including all of the Trials from Trespasser. This has ended up elevating my game more than I’d expected. One of them requires you to reach Skyhold by Level 5, which helps the game a lot: the early quests become more challenging, and the game opens up so much once you reach Skyhold so it’s really in your own interest to do so. Even Ground is also fantastic: it scales all enemies to be at least your level, which helps avoid the problem where early zones become incredibly boring after you’ve outleveled them. Which is interesting: I hated Oblivion exactly because of that mechanic. It might help that it’s just an option here, and even if enemy levels/HP/XP scale, they don’t actually gain new abilities. Oh: I meant to write this over a month ago, but I finished US(a. ), a great Christmas gift from my sister and her boyfriend. It’s by Saul Williams, who I wasn’t familiar with but is a well-known poet and artist. It’s a great, intentionally discomforting work, mixing poetry and prose and theater, working through enduring issues of race in America. It ends with a surprisingly long but really excellent and heartfelt fictionalized account of Miles Davis’s time in Paris, falling in love with Juliette Gréco and experiencing the pleasures of life outside of institutionalized racism. Hm… it feels like there’s been more but that’s all that springs to mind for now. Have a happy May!